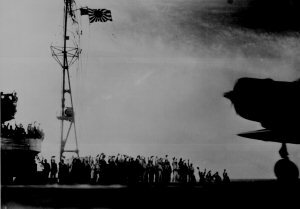 Captured Japanese photograph taken aboard a Japanese carrier before the attack on Pearl Harbor, Hawaii, December 7, 1941. 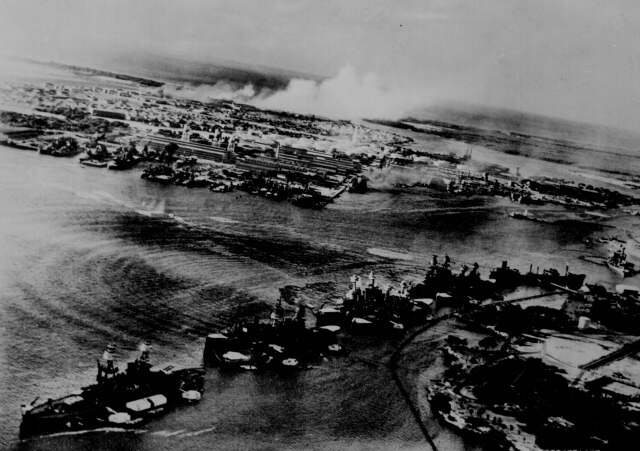 Captured Japanese photograph taken during the December 7, 1941, attack on Pearl Harbor. In the distance, the smoke rises from Hickam Field. "Pearl Harbor, T.H. taken by surprise, during the Japanese aerial attack. 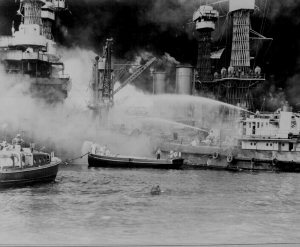 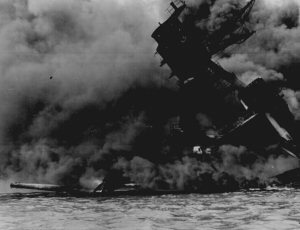 USS WEST VIRGINIA aflame." 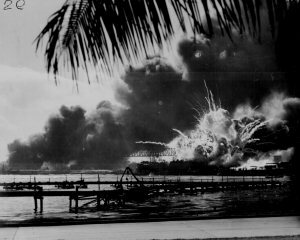 December 7, 1941. Surrender of American troops at Corregidor, Philippine Islands, May 1942. 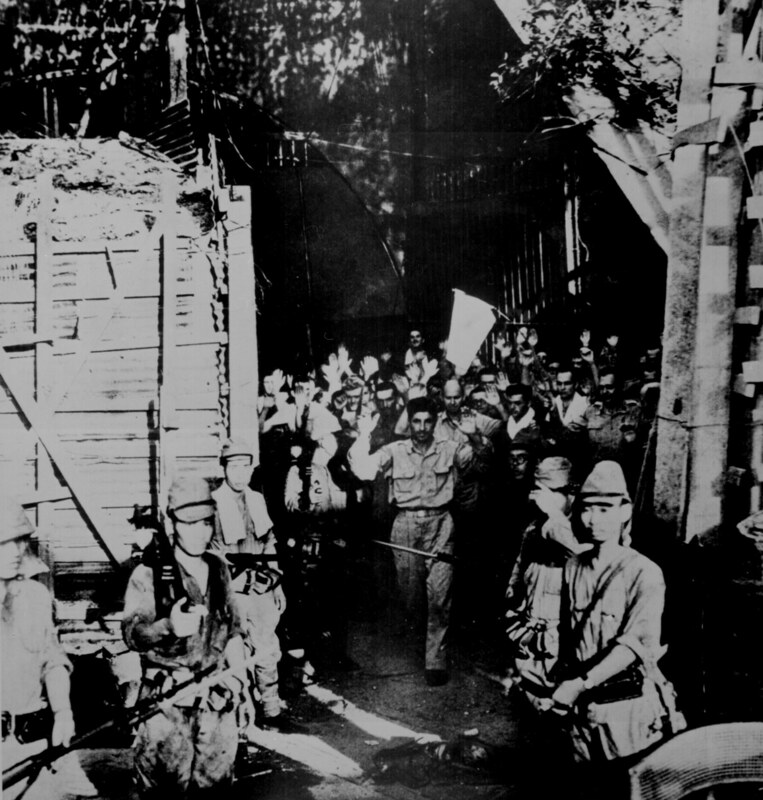 "The March of Death. 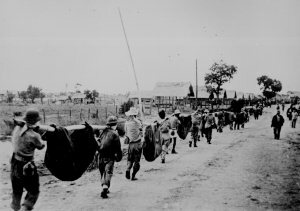 Along the March [on which] these prisoners were photographed, they have their hands tied behind their backs. 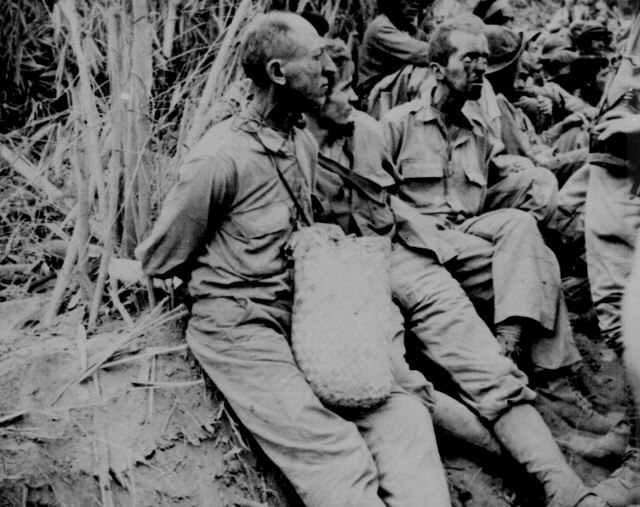 The March of Death was about May 1942, from Bataan to Cabanatuan, the prison camp." 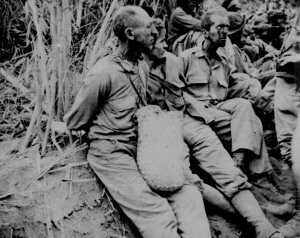 "This picture, captured from the Japanese, shows American prisoners using improvised litters to carry those of their comrades who, from the lack of food or water on the march from Bataan, fell along the road." 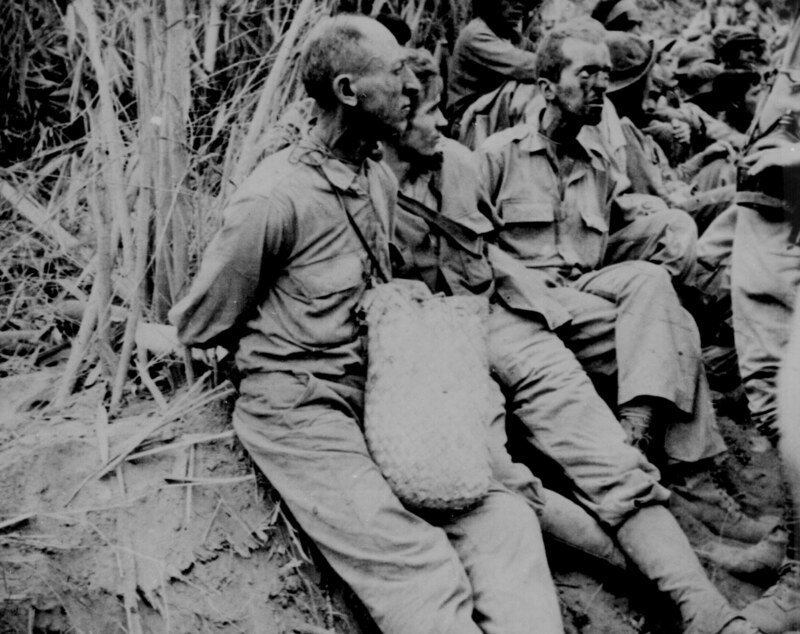 Philippines, May 1942.